ISLAMABAD: Finance Minister Asad Umar on Wednesday presented economic reform package for promoting investment and exports. 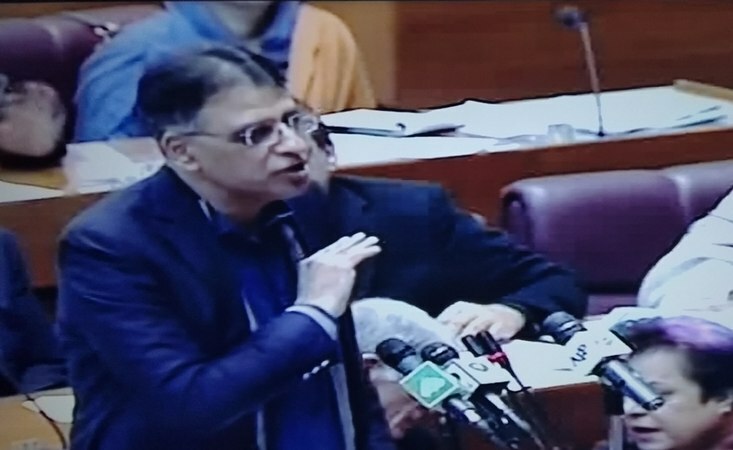 Speaking on floor of the house, the finance minister announced major incentives including withdrawal of withholding tax on cash withdrawal for filers of income tax returns; elimination of super tax for non-banking companies and abolishing advance tax on sale and purchase of shares. Income tax for banking companies reduced to 20 percent on extending loans to small and medium enterprises, agriculture and low cost housing schemes. Withholding tax withdrawn on cash withdrawal from banking system by return filers. The minimum tax regime for traders at six percent has been converted into final tax regime. Non-filers are allowed to purchase motor vehicles with engine capacity up to 1300cc, however, tax rate has been increased. Incentives have been given to marriage halls with the area of 500 square feet and tax rate has been reduced to Rs5000 from Rs20,000. A trial project for tax on traders will be launched from Islamabad. Duty free import of news print has been allowed. Import duty on raw material has been reviewed. Import of plant and machinery for new set up has been exempted from sales tax, customs duty and income tax. From July 01 there is no super tax for non-banking companies. Gradual decline in corporate tax rate will continue. For promotion of stock exchange withholding tax on sale/purchase of shares has been abolished. Carry forward losses for three years has been allowed. Customs duty has been increased on import of 1800CC and above engine capacity motor vehicles. The government will issue promissory notes in February 2019 to ease sales tax refund burden.